A nonviral gene therapy, said to be the first of its kind, is being evaluated in a phase 1/2 clinical trial in patients with noninfectious uveitis, according to its developer.1 In May, EYS606 (Eyevensys) was delivered to the first patient in the trial using a process called electrotransfection injection. This mode of delivery, in which a plasmin encoding for a therapeutic protein is delivered into the ciliary muscle, takes less than 5 minutes and is intended to reduce the need for frequent systemic or local treatments for uveitis, according to Eyevensys. This is the first human use of the company’s electro-transfection injection system, according to a company press release. The technology uses electroporation to deliver plasmids, which are nonviral, into the ciliary muscle of the eye. Local, sustained production of therapeutic proteins then takes place within the ciliary muscle cells. The phase 1/2 trial will assess safety and tolerability in up to 24 patients with noninfectious uveitis in France and the United Kingdom, and results of the trial are expected in 2018. 1. Eyevensys announces the first-in-human treatment with its groundbreaking EyeCET electrotransfection technology for eye diseases [press release]. Eyevensys. May 9, 2017. www.eyevensys.com/presse.php. Accessed May 18, 2017. 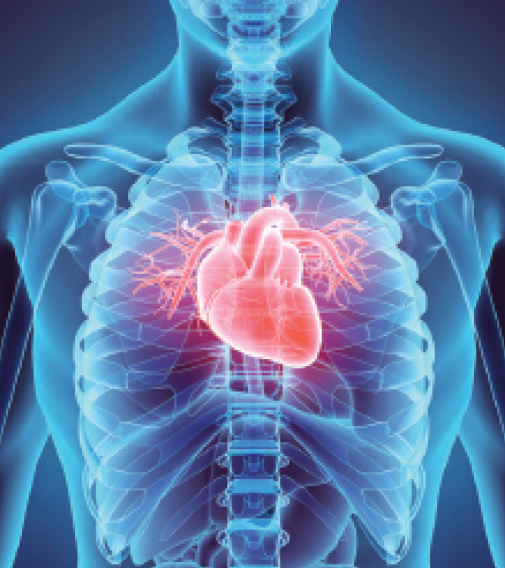 In a May 10, 2017, update of a 2016 safety communication, the FDA also said that evidence does not support links between fluoroquinolones and aortic aneurysms or aortic dissections. In that 2016 safety announcement, the FDA advised the public that “disabling and potentially permanent serious side effects” can occur with use of systemic fluoroquinolones, and it advised reserving fluroquinolone use for patients who do not have other treatment options. The FDA safety communications make no mention of the fluoroquinolones formulated for topical ophthalmic use. Tune in to EyewireTV for more on this headline. Visit bit.ly/fluoro517 and view the video from the 2:24 mark. 1. FDA Drug Safety Communication: FDA updates warnings for oral and injectable fluoroquinolone antibiotics due to disabling side effects. US Food and Drug Administration. May 10, 2017. www.fda.gov/Drugs/DrugSafety/ucm511530.htm. Accessed May 18, 2017. Congenital infection with the Zika virus was associated with severe ocular abnormalities, including a high incidence of macular and optic nerve problems, in a recently published series.1 All infants in the series, seen at centers in Venezuela and Colombia, had bilateral ophthalmic manifestations. The mean age of the 43 patients (28 female), all with congenital Zika syndrome and microcephaly, was 2.1 months. Optic nerve findings included hypoplasia, optic nerve pallor, and increased cup-to-disc ratio. Macular abnormalities included pigment mottling, lacunar maculopathy, chorioretinal scarring, and combinations of lesions. Five patients (12%) were diagnosed with congenital glaucoma. In total, 12% of patients had anterior segment abnormalities and 88% had macular and/or optic nerve abnormalities. 1. Yepez JB, Murati FA, Pettito M, et al; Johns Hopkins Zika Center. Ophthalmic manifestations of congenital Zika syndrome in Colombia and Venezuela. JAMA Ophthalmol. 2017;135(5):440-445. 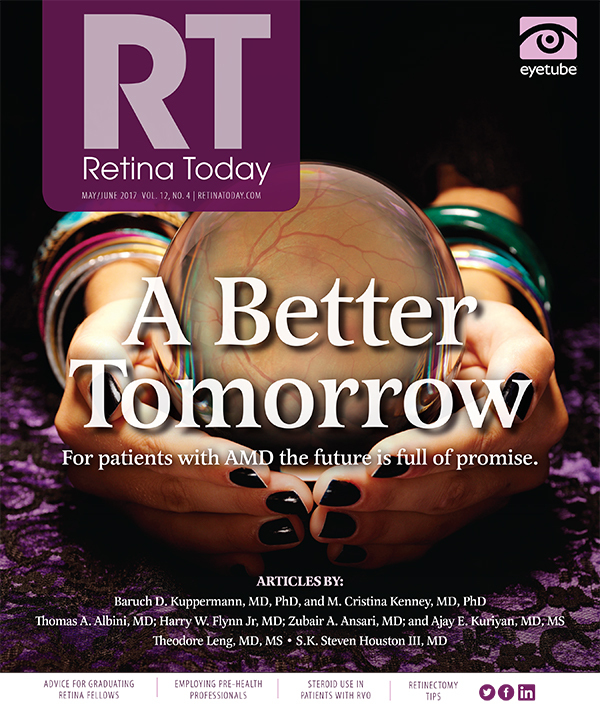 Intravitreous injection of ranibizumab (Lucentis, Genentech) for treatment of diabetic macular edema (DME) does not appear to increase the risk of systemic vascular events, although uncertainty remains regarding high-risk patients, according to an analysis of pooled clinical trial data.1 The analysis pooled patient data from six randomized, double-masked, controlled trials including more than 1,700 patients and sponsored by either Genentech or Novartis. The study authors cautioned that, although the analysis included one of the largest sets of patient data on treatment of DME with ranibizumab, it was still underpowered to detect small differences in infrequent events, such as stroke. Also, patients at high risk for vascular disease were not included in the clinical trials. Therefore, uncertainty remains regarding the safety of ranibizumab for DME in high-risk patients. In total in the six trials, 936 patients were treated with ranibizumab 0.5 mg, 250 received ranibizumab 0.3 mg, and 581 patients received sham or laser treatment. Pairwise comparisons were made between the 0.5 mg dose and sham plus laser, and between the 0.3 mg dose and sham. 1. Zarbin MA, Dunger-Baldauf C, Haskova Z, et al. Vascular safety of ranibizumab in patients with diabetic macular edema: a pooled analysis of patient-level data from randomized clinical trials. JAMA Ophthalmol. 2017;135(5):424-431. In April, the FDA approved ranibizumab 0.3 mg (Lucentis, Genentech) to treat all forms of diabetic retinopathy (DR). The drug was earlier approved for the treatment of DME based on the results of the phase 3 RIDE and RISE clinical trials, according to a press release from Genentech. The FDA granted priority review of the drug for DR without DME based on the results of the Diabetic Retinopathy Clinical Research Network Protocol S study, which compared ranibizumab with panretinal laser treatment in patients with DR both with and without DME. In that trial, patients with and without DME receiving ranibizumab experienced improvements in the severity of retinopathy. A phase 2b trial of a cellular therapy for retinitis pigmentosa (RP) launched in May, the therapy’s developer announced in a press release. The nonsurgical, injected therapy, called jCell (jCyte), uses retinal progenitor cells to rescue diseased retinal cells and possibly generate new ones, according to jCyte. 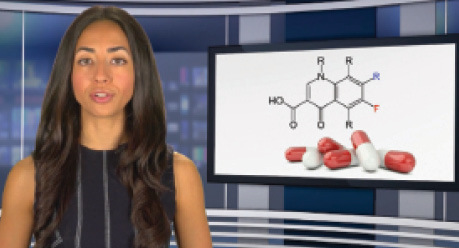 The therapy was granted orphan drug status by the FDA last year, and in May the FDA further granted it a relatively new designation, Regenerative Medicine Advanced Therapy (RMAT). The RMAT designation, which seeks to accelerate approvals for regenerative therapies that demonstrate the potential to address unmet medical needs, was established as part of the 21st Century Cures Act, enacted in December 2016. The clinical trial will be supported by an $8.3 million matching grant from the California Institute for Regenerative Medicine, according to jCyte. The single-masked trial will enroll 70 patients with RP, and its primary goal will be to assess changes in visual function after injection of the therapy. Patients will receive a single injection of the cellular therapy or a sham injection in their worse eye and will be followed for 1 year. Patients in the control arm will have the option to receive the therapy at the end of 1 year. Patients with uveitis had better visual results on average at 7 years with systemic therapy than with corticosteroid implants, a long-term follow-up study has determined. The 7-year results, published in the Journal of the American Medical Association,1 differ from earlier findings in the same group of patients, at 2 years and 5 years, when both treatments showed similar outcomes. The MUST Trial Follow-up Study included 215 patients from the original MUST Trial, in which they were randomly assigned to receive either systemic treatment with oral corticosteroids and immunosuppressive drugs or local therapy with the fluocinolone acetonide intravitreal implant 0.59 mg (Retisert, Bausch + Lomb). Change in mean visual acuity from baseline through 7 years favored systemic therapy by 7.2 letters, the investigators found. No significant increase in the risks of systemic side effects was seen for systemic therapy compared with implant therapy, with the exception that patients in the systemic group were more likely to receive antibiotics for infections. The outcomes suggest that systemic treatment, if used properly, can be given with relative safety for up to 7 years. 1. Writing Committee for the Multicenter Uveitis Steroid Treatment (MUST) Trial and Follow-up Study Research Group, Kempen JH, Altaweel MM, Holbrook JT, Sugar EA, Thorne JE, Jabs DA. Association between long-lasting intravitreous fluocinolone acetonide implant vs systemic anti-inflammatory therapy and visual acuity at 7 years among patients with intermediate, posterior, or panuveitis. JAMA. 2017;317(19):1993-2005. The FDA approved the use of tocilizumab (Actemra, Hoffman La Roche) for the treatment of adults with giant cell arteritis (GCA), making it the first drug approved for this indication.1 Typically, treatment for this form of vasculitis consists of high doses of corticosteroids that are tapered over time. The efficacy and safety of subcutaneous tocilizumab for GCA were established in a double-blind, placebo-controlled study with 251 patients with GCA. The primary efficacy endpoint was the proportion of patients achieving sustained remission, defined as the absence of symptoms of GCA, normalization of inflammatory laboratory tests, and tapering the use of prednisone, from week 12 through week 52. A greater proportion of patients receiving subcutaneous tocilizumab with standardized prednisone regimens achieved sustained remission from week 12 through week 52, as compared with patients receiving placebo with standardized prednisone regimens. Also, the cumulative prednisone dose was lower in patients treated with tocilizumab relative to placebo. Rates of sight-threatening DR are high in Asian countries, but most Asian countries have no published DR screening guidelines, according to a study published in the British Journal of Ophthalmology.1 The study authors called for countries in Asia to establish comprehensive, evidence-based screening guidelines to help identify DR, reduce DR-related blindness, and thereby reduce health care costs. An international group of researchers identified and reviewed national DR screening guidelines from 50 Asian countries and compared them against International Council of Ophthalmology (ICO) guidelines. They also assessed the prevalence of DR and sight-threatening DR in these countries. Of the 50 countries studied, 11 have relevant diabetes-related guidelines, all of which fulfill the ICO standards on when to start and when to repeat screening, except regarding the screening interval for pregnant women. Only two countries have guidelines specific to DR. Also, only two of the guidelines met ICO criteria for referral. In one-third of guidelines, the recommendations for screening process, equipment, and personnel were either incomplete or unavailable. At 30.5% the median DR prevalence among individuals with diabetes in Asia was found to be similar to those in the United States and United Kingdom, the researchers found; however, rates of sight-threatening DR were consistently higher. 1. Wang LZ, Cheung CY, Tapp RJ, et al. Availability and variability in guidelines on diabetic retinopathy screening in Asian countries [published online ahead of print March 14, 2017]. Br J Ophthalmol.